"Cristela" - ABC 1 Season. "Forever" - ABC 1 Season. 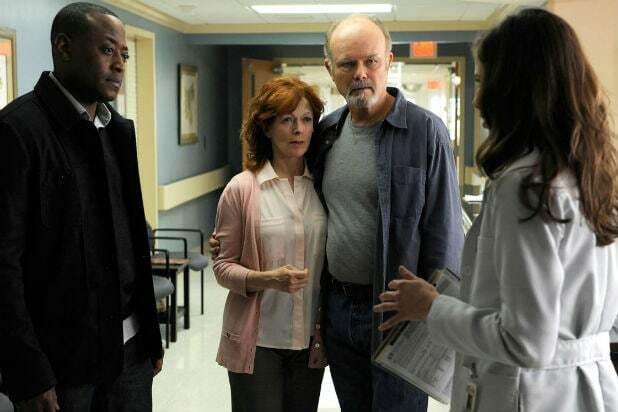 "Resurrection" - ABC 2 Season. "Selfie" - ABC 1 Season. "Manhattan Love Story" - ABC 2 Seasons. "Revenge" - ABC 4 Seasons. "Two and a Half Men" - CBS 12 Seasons. "The Mentalist" - CBS 7 Seasons. "The Millers" - CBS 2 Seasons. "The McCarthys" - CBS 1 Season. "Battle Creek" - CBS 1 Season. "Stalker" - CBS 1 Season. "Hart of Dixie" - CW 4 Seasons. "The Messengers" - CW 1 Season. "Mulaney" - Fox 1 Season. "Red Band Society" - Fox 1 Season. "Gracepoint" - Fox 1 Season. "Glee" - Fox 6 Seasons. "The Mindy Project" - Fox 3 Seasons. "The Following" - Fox 3 Seasons. "Backstrom" - Fox 1 Season. "American Idol" - Fox 14 Seasons. "Constantine" - NBC 1 Season. "A to Z" - NBC 1 Season. "Bad Judge" - NBC 1 season. "Allegiance" - NBC 1 season. "Parks and Recreation" - NBC 7 seasons. "Parenthood" - NBC 6 seasons. "State of Affairs" - NBC 1 season. "Marry Me" - NBC 1 season. "About a Boy" - NBC 2 seasons.